I have been on holiday..it was lovely. 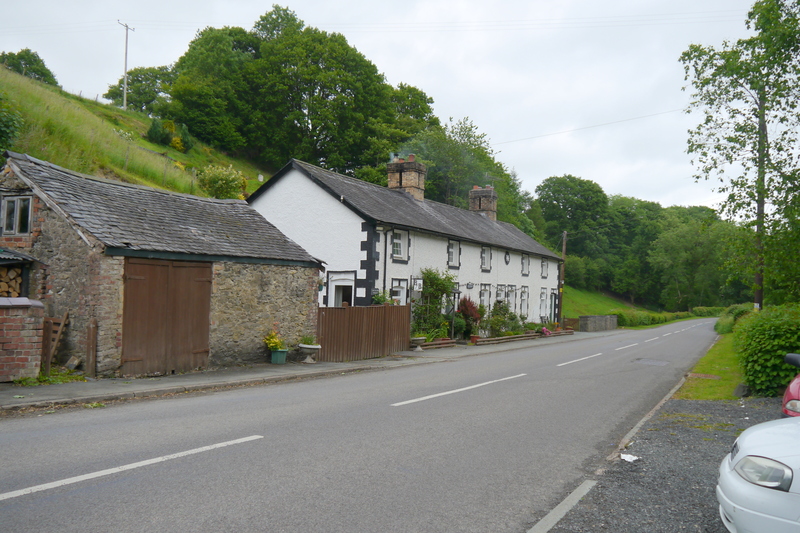 We stayed at a Bed and Breakfast run by Rosemary at LLanfyllin, Powys. We have been a few times now and even got married from there. Walking into the cottage is like coming home, with Rosemary welcoming us as friends. To begin with we stayed in the cottage (on the end) which we love, then at the end of the week we had to move to the bed and breakfast side, but we love being in there also. The place is like being in someones home full of pictures, china and clocks. There are so many clocks in the cottage with each one stopped with a different time so that time stands still at different times. I love Wales as it makes me feel peaceful with so much space to breathe in. I find myself looking at all the cottages for sale and imagining if I could live there. The more I look I realise that I would like some isolation without close neighbours. A garden to grow vegetables in, with a view that stretches out before me and somewhere to sit and watch birds with my little book to identify them. Mr Hs said that you would become complacent about the view after a while, but I disagree. I think you would always be in awe at the scene in your sight. We did the usual National Trust sites and visited Powis Castle, taking hundreds of photographs, Chirk Castle, and Erddig. The holiday takes away the reality of forgetting. There is nothing to remember, there is a reason to get lost, or be confused in somewhere new. It is a place to just be someone who is on holiday. At one point someone in a shop made a joke about dementia and forgetting something, I laughed and said nothing. I am now recharged, and have come back to appointments to meet the new memory clinic, and consultant. Get that out of the way and off we go to escape out onto the canal systems in our boat.